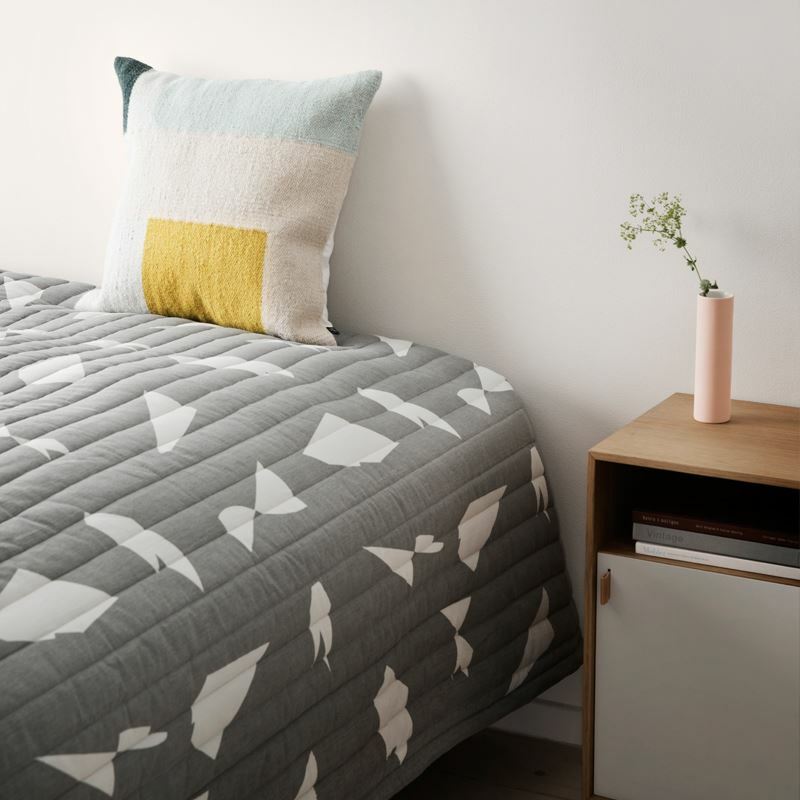 The Cut Bed Cover in Grey reveals the bold minimalism of Fox’s patterns. 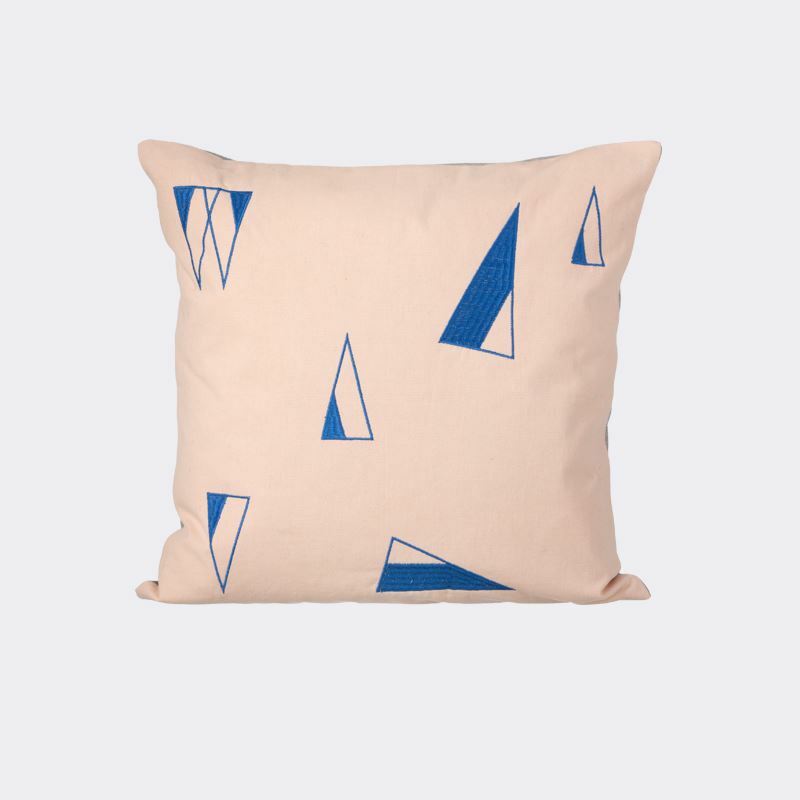 It’s no wonder her illustration work is featured at ferm LIVING, a design house that values modern, retro and Scandinavian motifs. 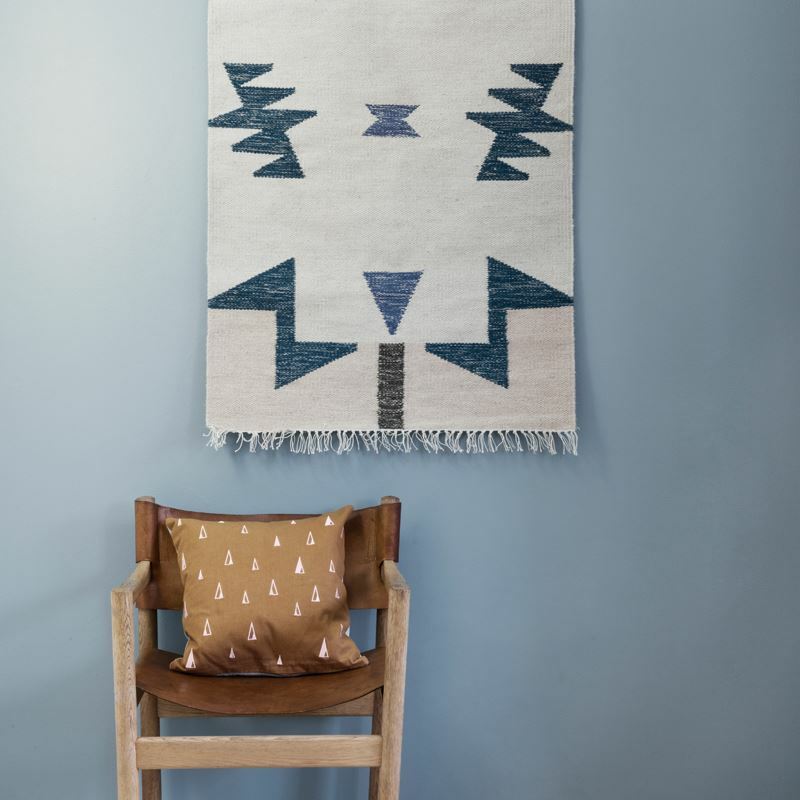 Next we see the Kelim Rug in Small, a hand made product with illustration by Alyson Fox. 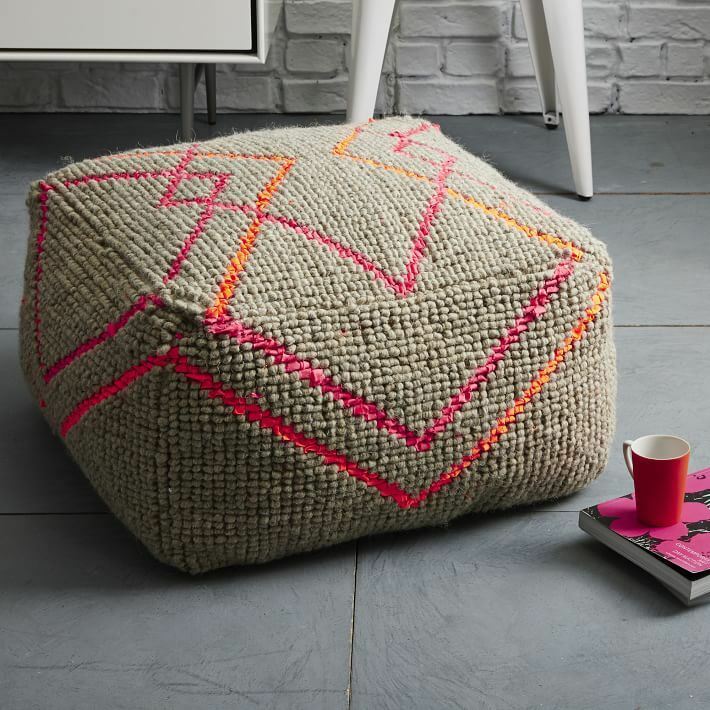 Since I’m a long-time fan of ferm LIVING’s Kelim Rugs, it was interesting to see how Fox put her stamp on the concept. In a word: fabulous. 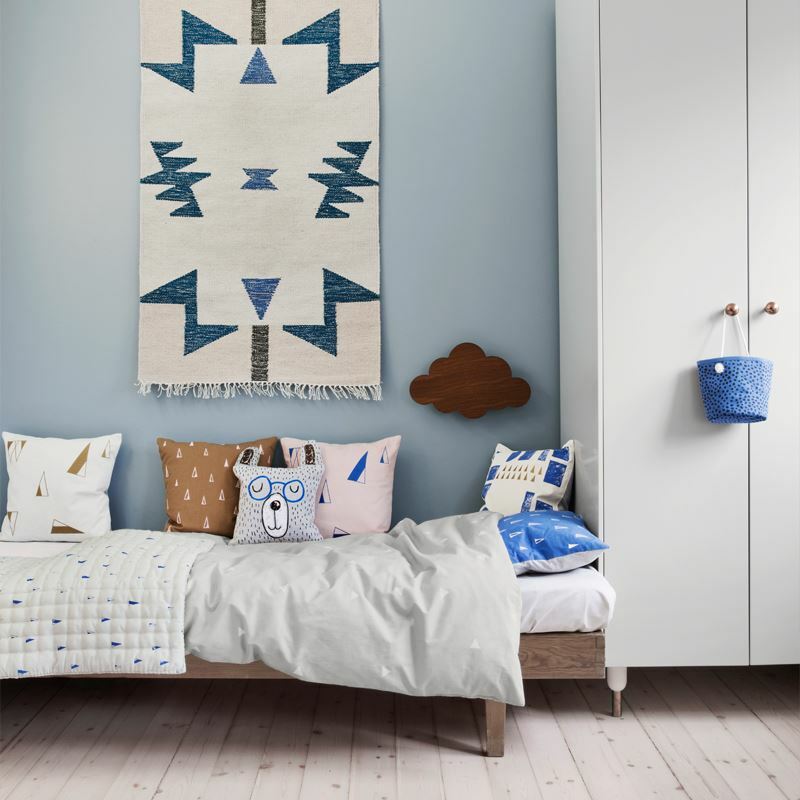 Below we see the Cone Quilted Blanket, as well as a range of other textiles designed by Fox, proving that her illustrations are ideal for kids and grown-ups alike. 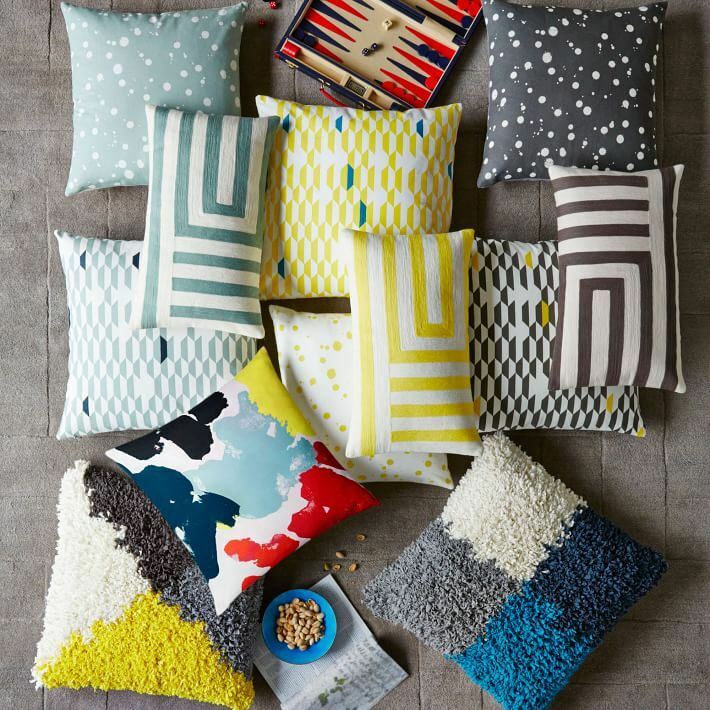 It’s also fun to see West Elm hits like the Bentwood Slipper Chair covered in Kate Spade Saturday’s Subway Tile Print. 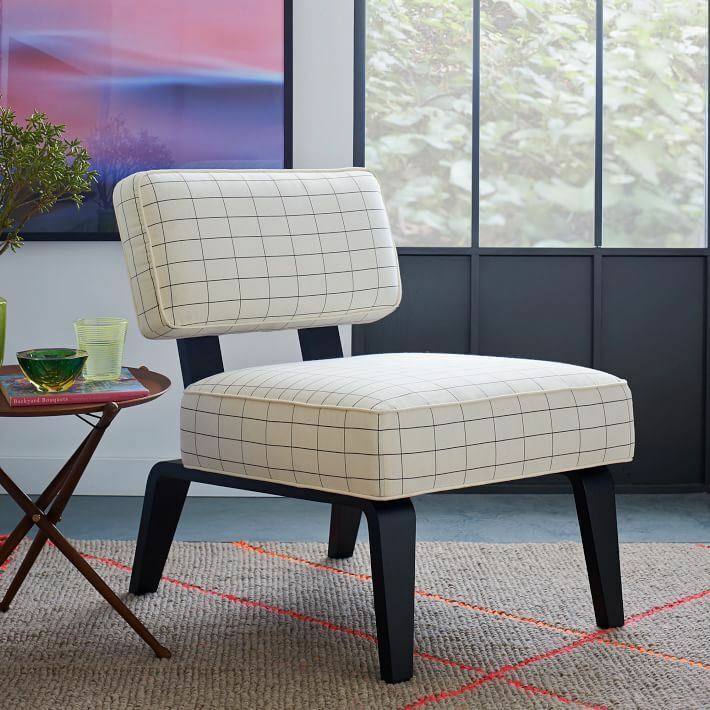 It was only a matter of time before grids found their way to midcentury-inspired furnishings! 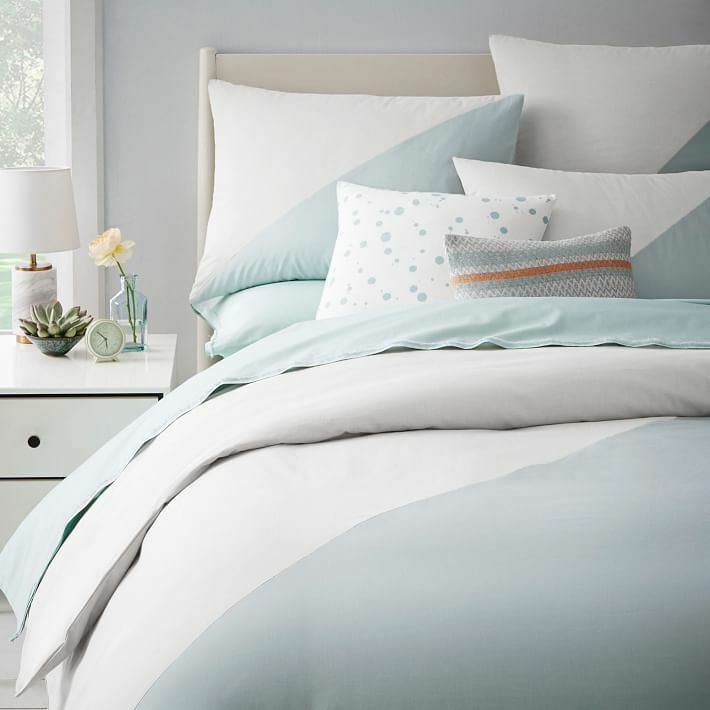 Two-toned patterns of the diagonal variety are one of today’s top trends, making the Kate Spade Saturday Chambray Diagonal Duvet Cover + Shams a timely design find. Created from cotton chambray that’s cut and sewn together, the look is trendy yet high end, thanks to quality craftsmanship. 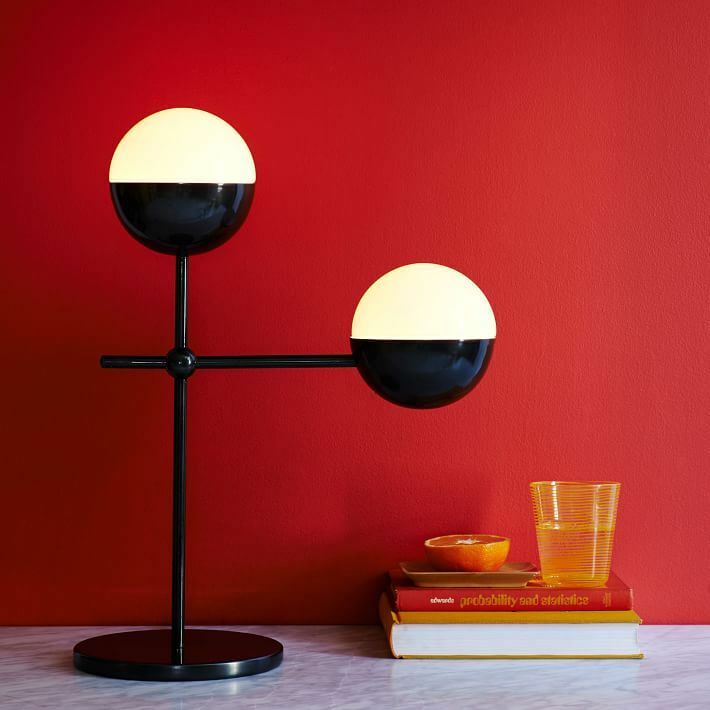 Retro meets modern style, thanks to the Globe Table Lamp, which channels New York City’s subway entrance lamps, thanks to two orbs that produce diffused light. 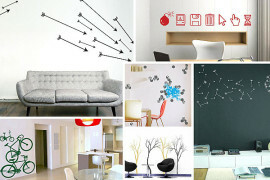 A blackened metal base completes the look. Even more Kate Spade Saturday finds are waiting to be discovered. 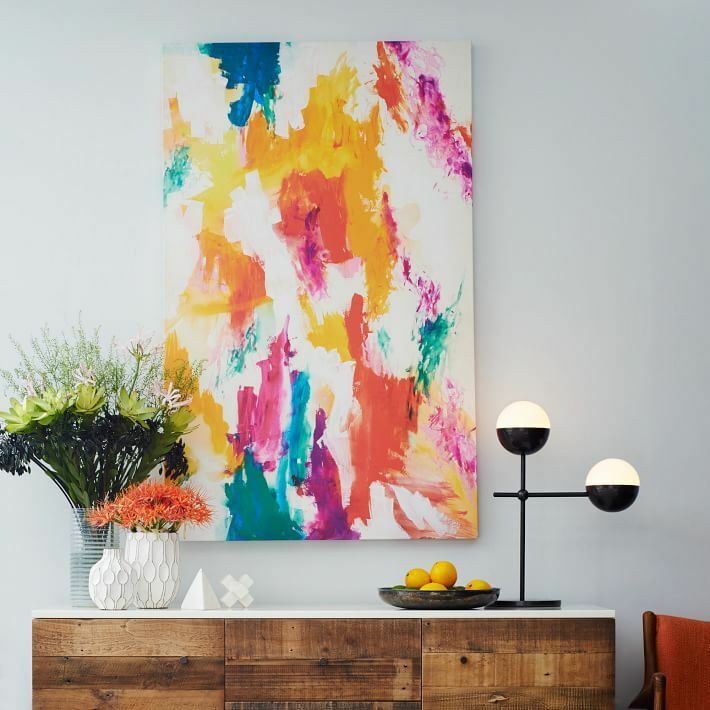 Head on over to West Elm to see the full collaboration. 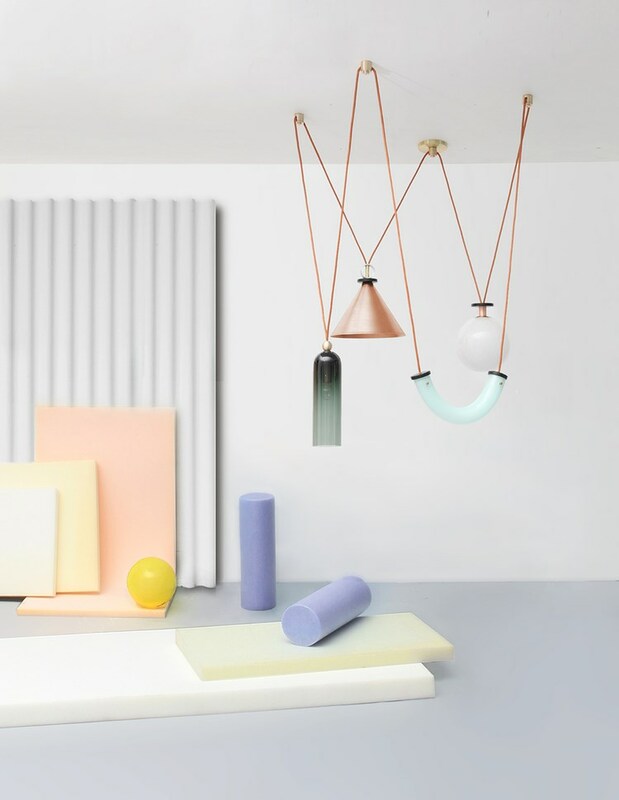 Do you remember last week’s post on still life inspiration for interior design? 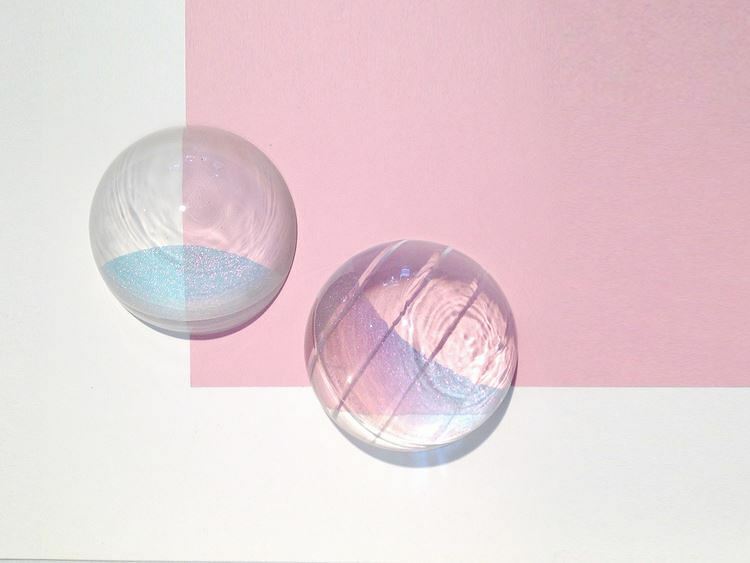 It was here that I first blogged about the work of Seattle-based glass artist John Hogan. He’s collaborated with one of my favorite design studios: Ladies and Gentlemen Studio, founded by Dylan Davis and Jean Lee. 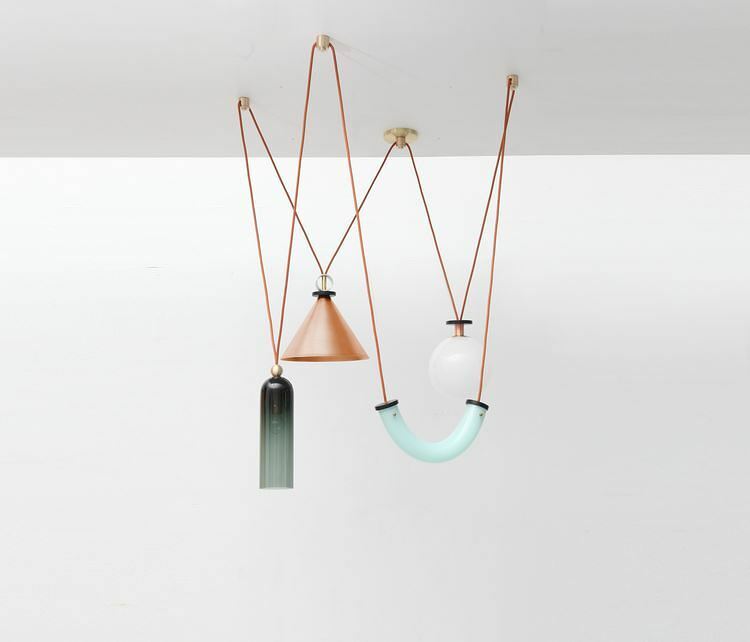 Below we see SHAPE UP, a lighting series that celebrates geometric shapes and mixed materials. 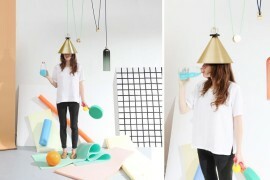 Next we have Atlas, a series of table lights created in another collaboration between L&G Studio and John Hogan. 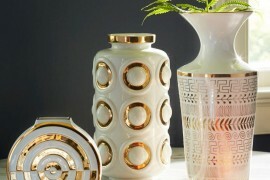 Each lamp’s solid glass optical diffuser is a one-of-a-kind work hand-sculpted by Hogan himself. 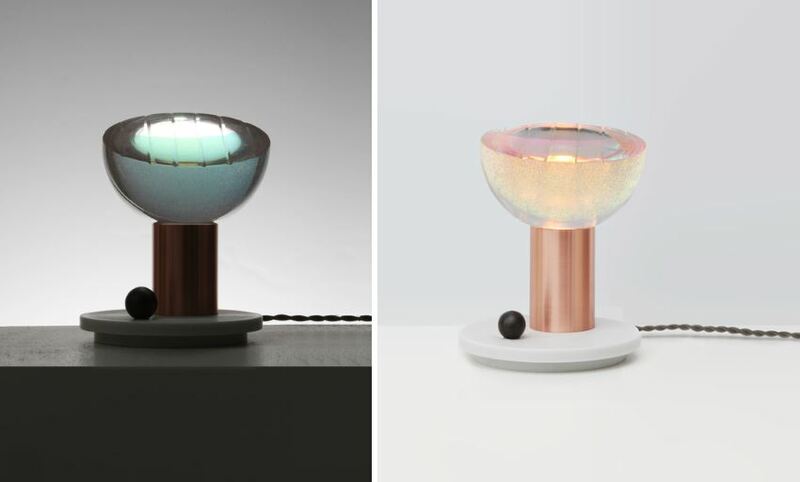 Since Hogan is committed to exploring the optical qualities of glass in his work, it’s no surprise that his Atlas diffusers are enhanced by embedded layers of materials such as silver leaf, mirror and iridescent glass. 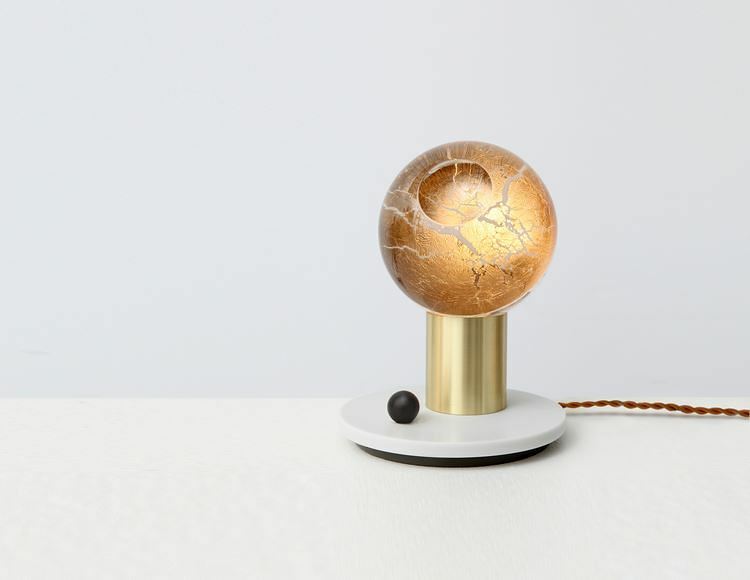 Add L&G Studio’s commitment to impeccable design and interesting mixes of materials (note the use of copper, brass and corian below for the design of the bases), and you have a lighting series that’s also a true work of art. Inspired? I know I am! Whether your creative projects are big or small, consider collaborating with people who inspire you for your upcoming endeavors. 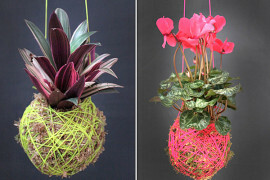 The collaborations above have made me a believer in the process!